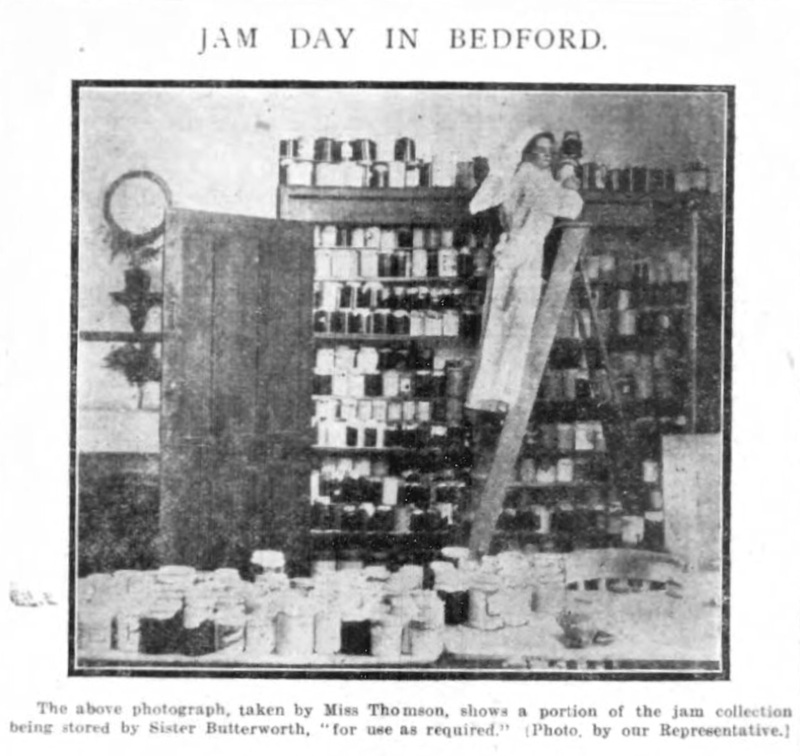 Saturday, 30 September 1916 saw the successful culmination of the special effort over three weeks to collect pots of jam for the Ampthill Road schools VAD (Voluntary Aid Detachment) hospital, reported the Bedfordshire Times and Independent of 6 October 1916. The Matron, Mrs Margaret Thomson, wrote to the paper to express her very great gratitude and appreciation of the truly wonderful result of Jam Day, and to all concerned for making the collection such a success. How did your village do in the Jam Day collection stakes, and what of the poor woman with her only pot of black currant jam?